I was expecting yesterday to be a crap day. I’m sick so even now, all I want to do is lay in bed and close my eyes, living life as a pillow. Regardless, I had to go to school yesterday to pay for my grad fees because the people who make the DLSU grad assessment seriously don’t know a lot about layout–the “Total:” category doesn’t include the surcharge (which is P850), so fak. I’m really happy I went to school despite being super tired when I got home (I fell asleep at 8:30 PM and woke up at 7:30 AM–deymmmmm that’s almost 12 hours!) because I ended up laughing most of the day. Even if it won’t fix anything, really–I feel like in most cases of the blues, laughter is like Bioflu: it’s the only thing strong enough to tide you over until you know what to do with yourself again. These past few days have been crazy. I feel like sometimes time is like the flu–there are just days when it comes back to haunt you even if you’ve been vaccinated left and right. Although it’s good you’ve been vaccinated because there really are days when it comes to attack and you can dodge it or it just slides off of your very strong immune system. And then there are days when it catches you off guard and you’re stuck in a moment all over again: you’re back in years ago (whenever that is/was), re-living all the hings you wish you hadn’t done. And there isn’t anything you can do but lay in bed until you get better. I’ve been feeling like this for the past few days and yesterday really got me out from the bottom of that pit. 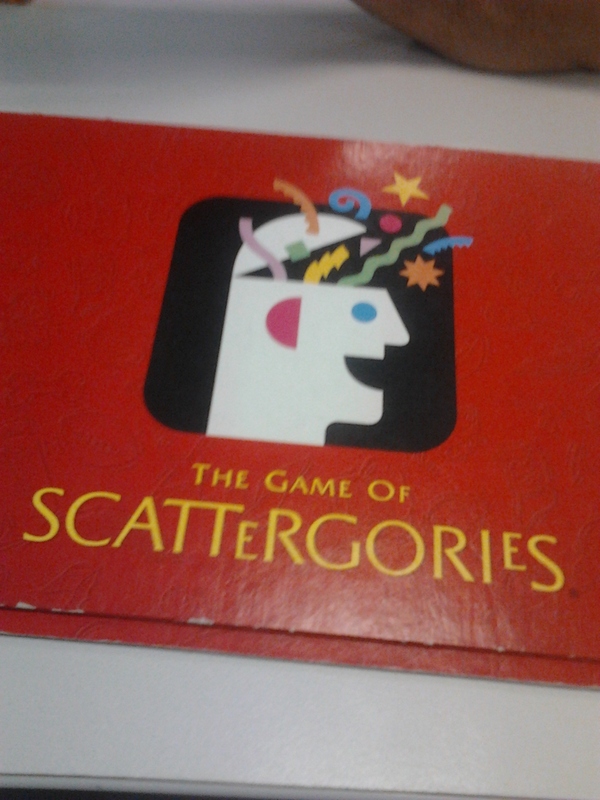 I spent the day with my friends Ron and Ivan and we ended up in the library playing this game called Scattergories. I was a little hesitant to play at first because I had flu brain (still do) and I can/could really feel myself dispensing energy to be able to come up with words but it ended up being really fun and I’m even more convinced that the best endeavors are those worth defying your default setting for. I’m at a board meeting for our company today–again, I wish I could rest but that doesn’t seem to be an option. Although the aforementioned almost-12 hours of sleep definitely does help.